This is my last regularly scheduled blog of the college football season. Five months go by so fast. Hopefully, I will get a chance to index things on here so they’re easier to find. For the final blogger poll, click here. I’ll get to the point now. The SEC was #1 going into the bowls, so going 9-2 (counting the championship game) was obviously good enough to stay #1. I do want to stress a little bit how impressive that is. Only one of the SEC bowl teams (Auburn, the worst of the SEC bowl teams) played an opponent that was not in a Power 5 (P5) conference. Contrast that with the Pac-12, who played three non-P5 (Group of Five or G5) opponents in 10 bowl games. One of the Pac-12’s P5 opponents was Nebraska, who was granted a waiver as a 5-7 team because there were not enough normal bowl-eligible teams. I don’t look at margin of victory for the purposes of these rankings, but I think they do help show that most of these SEC bowl wins weren’t just luck. The Big Ten ended up with a worse record than the Pac-12 even though Nebraska and Minnesota got to play in bowl games with losing records. The win by Nebraska was good, but you expect any but the worst Big Ten teams to beat Central Michigan. I would also give the Big Ten credit for not playing any other G5 opponents. There was a clear enough gap between the Big Ten and the Pac-12 to begin with, so even if the bowls were harder, there isn’t any reason for the Big Ten to pass up the Pac-12. Also if you look at the apples-to-apples games, USC-Wisconsin was a 50/50 game and Stanford beat Iowa soundly. The Big XII went 3-4 in bowl games, so likewise, I see no reason they should pass up the Big Ten. The AAC only had two wins. 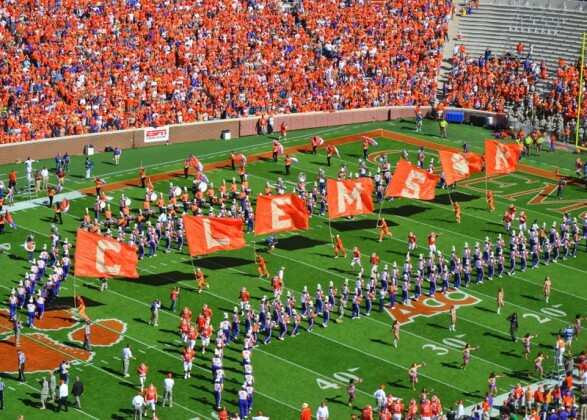 Although both were against the ACC, the ACC still won four bowls. The two conferences were so close, I think that was enough to flip the two. The other conferences were all within a game of .500, so there was no reason to make any other changes. The lower-ranked conferences don’t play as many bowl games, so those are a smaller percentage of overall games anyway. I know it’s not really the middle of the season yet, but the majority of inter-conference games have been played, and this will be the only conference report before the end of November. Once again, the SEC doesn’t win the time period, but one first place and two second places is much better than any other conference. The Pac-12 comes out first over Weeks 3 to 5 because it hasn’t lost an inter-conference game since Week 2. 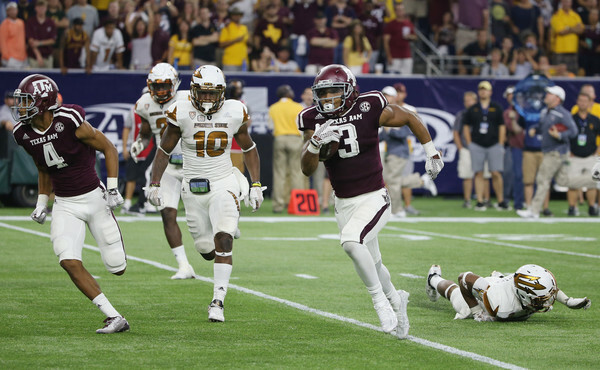 Texas A&M ran away from Arizona St. late in the only game between the SEC and Pac-12 this season. Arkansas’ loss to Texas Tech was the only loss for the SEC, so that’s good enough for #2. The Big Ten is third as it was the only other conference to finish with a winning record against the P5 (again, that’s Notre Dame or any member of the ACC, Big XII, Big Ten, Pac-12, or SEC) over the time period. The BIG also won 84% of its games against other FBS teams in that time. The Big XII, the best conference of Week 2, achieved a .500 mark against the P5 and won 7 of 10 overall, good enough for fourth. The records for the AAC and ACC were very similar so I made a list of wins and losses to compare. 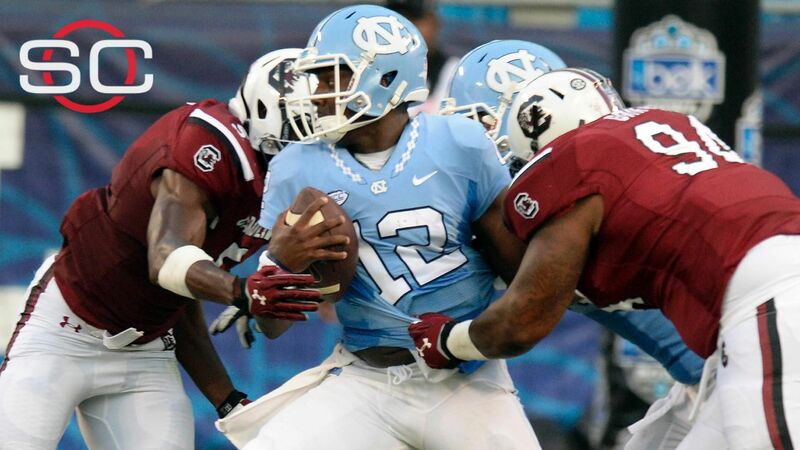 The ACC had slightly better wins, but that wasn’t decisive. The losses were what convinced me the ACC deserves to be higher. Every team an ACC team lost to over the period has a winning record. The only ones that were sort of mediocre were East Carolina, Indiana (although the Hoosiers are 4-1 at the moment), and Cincinnati. The AAC lost to Furman, James Madison, Maryland, and South Carolina, among others. So finally the P5 actually constitutes the top five conferences in this list. 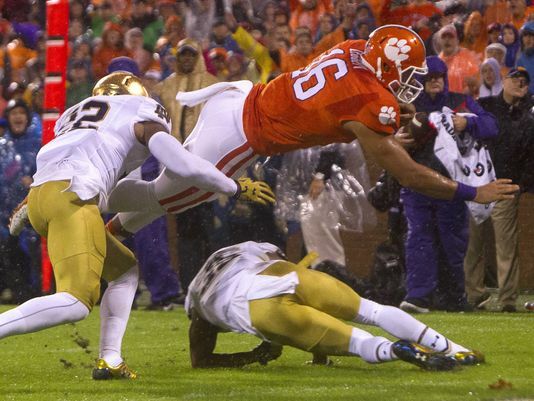 The ACC went up a spot with help from Clemson’s win over Notre Dame. The MAC was 2-9 against the P5 and 6-16 overall, but only one other lower conference even recorded a single win over the P5 (that was the MWC, who went only 1-12 against the P5). Only the CUSA had more wins over the five other conferences, but the CUSA went 0-9 against the P5. I looked more into the MWC wins versus the CUSA ones, and the CUSA ones were a joke. It only beat one team with multiple wins, which was 2-3 Kent St. One of the Golden Flashes’ wins was over Delaware St. and the other was over Miami U., another of the teams the CUSA beat during the period. The MWC didn’t have a great list either, but it did beat Virginia and it won the only contest between the MWC and CUSA when beat Colorado St. beat UTSA on the road. Even though the CUSA beat hardly anyone, it still did better than the Sun Belt, which beat three teams with a total record of 4-11. Those three teams (San Diego St., Old Dominion, and Wyoming) have gone a combined 2-1 against the FCS. For the overall records, the Pac-12, Big XII, and Big Ten were close. But I think looking at the teams they beat and lost to sorted it out pretty easily. The Pac-12 has no bad losses apart from Washington St.’s loss to Portland St. in Week 1. Hawaii (which beat Colorado) is the only other loss to a team not currently ranked. The wins aren’t astounding for either conference (Wake Forest, Kansas, Iowa St., and Oregon St. make up 4 of the Big Ten’s nine P5 victories), but the Pac-12 only has half as many losses as the Big Ten does and almost 2/3 the number of wins against FBS opponents. The Big XII, on the other hand, comes out behind the Big Ten. Although it has the same P5 record as the Pac-12, the Big XII has five fewer wins over the FBS overall and has questionable losses such as Rutgers, UC-Berkeley, and South Dakota St. I know UC-Berkeley is currently ranked, but they haven’t really played a tough opponent yet, with the possible exception of Washington. Also, it’s not like the Bears beat Iowa St. or Kansas, they beat Texas. I know the Longhorns aren’t what they were five or six years ago, but they did make a bowl game last year. The rest of the overall rankings proceed pretty logically from combining the Week 1 and 2 standings with those for the period since then. The AAC and ACC were extremely close going in, so the ACC winning the period gives it an edge overall. Those FCS losses made it somewhat easier. Same thing with MWC and CUSA, but the MWC started off badly enough that this decision deserved a closer look. The MWC has actually done pretty well after Week 1. The wins are pretty similar (although I’d argue Washington and Virginia are better than Purdue and Vanderbilt), but I think you can tell more from the losses, since I’m comparing conferences with clearly losing records. Thirteen of the MWC’s 19 P5 losses have come to the Pac-12 or SEC, and the other six were against the Big Ten. There are some teams in there that aren’t too good like Colorado, Oregon St., and Washington St., to be fair. Only five of the CUSA’s 18 P5 losses came against the SEC or Pac-12, and two of those were against Arkansas and Vanderbilt. The new chart is below. The new inter-conference week doesn’t start until Utah/Utah St. tonight. A formerly WAC and Mountain West and currently Pac-12 team against a formerly WAC and Sun Belt and currently Mountain West team. Louisiana Tech, a former WAC team, is now in the same conference as Western Kentucky, a former Sun Belt team, so that was not an interconference game last night. A couple of disclaimers and reminders. In these conference reports, I basically evaluate each conference as if it were a team. For instance, “team SEC” beat Wisconsin when Alabama beat Wisconsin, and “team Big Ten” lost to Alabama. So the SEC gets credit for beating Wisconsin just like a team would. I don’t treat them as “generic Big Ten team”. So even though only one week has passed, it’s almost like evaulating one season for a team against another since I believe only one conference game has been played. Another thing to point out is this is NOT picking the conference who has the best team on average. Alabama can go 0-8 in the SEC, and the important thing is it got that big non-conference win. Baylor is apparently a very good team, but how good they are won’t matter too much in these because they don’t appear to have any quality non-conference opponents. Also, records are against FBS opponents unless otherwise indicated. I always liked this version of the logo. The SEC was the unquestionable top conference of week 1, going 10-1 with wins over Wisconsin, Arizona St., Louisville, and North Carolina. The only loss was to that Western Kentucky team I just mentioned. The Hilltoppers beat Vanderbilt by two points after the SEC ’Doremats failed on a late two-point conversion attempt. According to most gambling sources, Vandy either beat the spread or came out even, so while it would have been nice for the SEC to get that win, it’s not a huge problem that it didn’t. The only record by a P5 conference (those are SEC, Big Ten, Big XII, ACC, and Pac-12) that came close was that of the 5-1 Big XII. But the ten teams of the XII only combined to beat one major-conference opponent. This was TCU’s win over Minnesota. The other major opponent was when Texas lost to Notre Dame. The other four wins were nothing special: SMU, Central Michigan, Akron, and Georgia Southern (which just became a full member of the Sun Belt after being in FCS and a transitional year). Also, that record is not counting the fact that Kansas lost to FCS South Dakota St. So even if Kansas is the Vanderbilt equivalent, losing to Western Kentucky is probably better than losing to South Dakota St. The Mountain West went 2-1 with wins over Washington, and Colorado, but they also lost to an FCS team (Wyoming to North Dakota). I can’t fault UNLV (another possible worst-in-conference team) much for losing to Northern Illinois. The only other conference with a winning record was the CUSA at 5-4. The CUSA did not beat any impressive teams, although it was a surprise that FIU beat Central Florida (which is now and American Conference [AAC] team). The two wins over P5 teams were over Purdue and Vanderbilt, who are possibly the worst teams in their respective conferences. The ACC is last among the power conferences, although it didn’t really do anything wrong, but there should have been a toss-up or something close where they won. The only one where the ACC should have had a chance was North Carolina vs. South Carolina (in Charlotte); and the Tar Heels were respectable competition, but they didn’t win. I can’t hold the losses by Virginia to UCLA, by Virginia Tech to Ohio St., and by Louisville to Auburn against the conference to any large extent. The Pac-12 was relatively disappointing. Arizona St. was supposed to be one of the best teams in the conference (based on returning starters anyway), and Stanford was supposed to be a sleeper team in the North Division. So those losses (to Texas A&M and Northwestern, respectively) are worse than the ACC losses. As for the wins, they are: Michigan (Utah probably isn’t great, so this is a positive), Virginia (which UCLA should have won easily anyway), UTSA (which Arizona should have won easily and didn’t), and Arkansas St. (by USC in a blowout that was expected). Colorado might be the worst team in the Pac-12, but Hawaii was certainly a winnable game. Also, another contender for worst in the Pac-12 is WSU, which certainly should have beaten Portland St. So I mentioned two big wins by the Big Ten above, but there were somehow six losses. They were all fairly excusable though. Michigan and Minnesota put up a good fight in games few expected them to win (I picked Michigan, but hard to win on the road against a P5 opponent with four turnovers), and Nebraska of course lost the heart-breaker to BYU. The other two wins were against MAC teams that probably won’t even be competitive in that conference, but still I think there were more positives than negatives despite the losing record. Since we’re down to three independents, I’m not going to go into those as a category this year. They don’t even play one another, so it’s hard to take pride in each other’s accomplishments, which is kind of the point of this. You might not be happy if your team goes 8-5, but you can take some pride in playing a lot of good teams that did well against other conferences and still making a bowl game. It was different when Navy was there and played Army and Notre Dame annually, and Notre Dame has also played Army and BYU in recent years (I consider 2010 a recent year anyway). The rest is mostly just a matter of who had the ugliest losses. The good news is I mentioned the three relevant FCS losses already. I’m just going to call it a tie between the MAC and AAC. On the one hand, the AAC beat Penn St., but on the other hand (as mentioned) it lost to FIU. The MAC just had vanilla results up and down the line. Idaho and UNLV are possibly two of the worst teams in the FBS, and I can’t blame them for losing to teams that will likely make bowls. Illinois and Old Dominion may not, but if the MAC is to beat such teams, EMU (I always wondered why their mascot wasn’t the emus) and Kent St. are probably not going to be the ones to do it. The Sun Belt went winless (apart from against the FCS), so you can’t really do worse. I’m going to start with acknowledging that if you look solely at winning percentages against the P5 or even against the FBS, the Pac-12 has a better winning percentage than the SEC. In overall winning percentages, the SEC and Pac-12 are in a virtual tie (I will discuss that more below). I’m going to give some records below. Since I’m trying to get this out before it’s too late in the day (I’m on the West Coast), I haven’t checked them with other sources since the bowl games, so if I missed one or two games, I apologize in advance. I also want to mention that while this is my last entry about the conferences, I do plan at least one more blog about the rankings (comparing my pre-season list to the current list) and something about LSU. Apart from the Notre Dame “Rivalry” blog. I haven’t done an LSU-specific blog since Thanksgiving weekend. My philosophy for ranking conferences in my “conference report” series is as close as I can get to my philosophy for ranking teams. From watching the playoff games, the overwhelming consensus is that the team who entered those undefeated (Florida St.) was the worst of the four teams. So much so that they finished 6th in the coaches’ poll and in a tie for 5th in the AP poll. You can’t get better than 100%. A lot of reasonable people had Alabama, who had only won 92.3%, ahead. The committee (and a few individuals) had Oregon (same winning percentage as Alabama) ahead. That winning percentage was also shared by Ohio St.
Oregon, the loser of the title game, won 86.7%, about 6 points below Florida St.’s current winning percentage. In Part III of this series, I determined that the Pac-12 had a better bowl season than the SEC. The overall records of the conferences also reached a tipping point, as the Pac-12 record against other FBS conferences surpassed the SEC record against other FBS conferences for I believe the first time this season. There is only a gap of 3.7% though. I think based on the discussion above, when it’s a winning percentage that close, you need to look a bit deeper. When you go down the line, the SEC’s opponents are consistently better though. Judge for yourself though. I’ll start with how they did against the ACC, Big Ten, and Big XII, respectively. I think the top four teams of each conference are fairly easy to determine, so I’ll separate it there. Unfortunately, there were no games between the SEC and the Pac-12. After giving the records, I will list the wins over the top four, followed by other losses to teams outside of the top four. “Good” losses don’t prove as much and neither do wins over mediocre teams. So the SEC played 14 games against top-4 opponents of the other power conferences against only 4 for the Pac-12. You can’t tell me that’s not a disproportionate ratio. It happened to be that the team who played two of three was the best team in the Pac-12, and the one who won the other was arguably the second-best team in the Pac-12, UCLA. UCLA beat the same team SEC #6 Auburn beat. The Pac-12 makes up some ground with Notre Dame, but I don’t believe they would have been a top-4 team in any power conference apart from possibly the Big XII (unfortunately, their recent games with Oklahoma didn’t take place this year to let us know more clearly). Arizona St. and USC beat Notre Dame. The Irish beat Stanford of the Pac-12 and LSU of the SEC. LSU and Stanford were similarly ranked in their respective conferences, and Notre Dame beat both by a field goal. LSU was also denied what could have been a game-changing touchdown right before halftime. I don’t bring that up to say LSU is better than Stanford or their loss is more excusable, but I think we can infer that if Notre Dame played two higher teams in the SEC like they did in the Pac-12 (Arizona St. and USC were higher in the Pac-12 than Stanford), they most likely would have lost both games. Anyway, the differences in schedules don’t end there. I think CUSA, MAC, and Sun Belt only have two teams worth considering apiece, but I’ll go with the top 4 for the MWC and AAC. Neither of those are very deep, but they’re centered around a few serious teams. The MWC had four teams who each won at least 10 games, so I think they’re all worth considering strongly (though not as strongly as the top 4 of the power conferences of course). The AAC had three teams tie for first. East Carolina was not in that tie, but I think they made up for having a couple more losses (two to teams in that tie) with their wins over North Carolina and Virginia Tech out of conference, so I’ll give them credit for 4 too. I’ll break these down collectively. Ole Miss beat Boise St. Despite winning 11 games over the Mountain West, the Pac- 12 only won the bowl game against a 10-game winner. The Pac-12 was 0-2 against those teams otherwise and also lost to Nevada, the #6 MWC team. The Pac-12 also suffered a loss to BYU, who I included as one of the good G5 teams even though they’re independent. The only SEC loss to a non-P5 team was by the worst team in the SEC, Vanderbilt. They lost to Temple. I mention who won the games because I have no problem with Oregon and UCLA both being in the top 10. You can even put them both ahead of Alabama if you want to, but they got all the major wins for the Pac-12, except for the two over Notre Dame and the one over Colorado St. I just don’t think the accomplishments of those two teams put the Pac-12 as a whole ahead of the SEC. The fact that teams so far down the SEC won major games, not to mention that 5 teams that weren’t even in the top half of the SEC won bowl games. These are not the games mentioned above, except for the Florida win over East Carolina. If you evaluate conferences anything like teams are evaluated in the main, you’d have to acknowledge that the SEC was far more tested in terms of opposition, and that how tested they were overcomes the slight deficit in winning percentages. Some people only want to look at performance among the top teams or don’t care at all (win or lose) what happened against non-P5 opponents, but that’s not how anyone I know of looks at teams. The concepts overlap, but I’ll give analogies. Regarding the former outlook, West Virginia and LSU looked like two of the best teams when they played top teams. WVU was within a possession of Alabama for 50 minutes (losing by 10), beat Baylor, and lost by a single point to TCU. LSU beat Wisconsin, beat Ole Miss, and lost to Alabama in overtime. No one I know of is going to ignore that LSU lost to Arkansas and Notre Dame or that West Virginia lost to Texas and Texas A&M though. Regarding the latter outlook, the problem many people had with Ohio St. was that they lost to Virginia Tech, who barely even qualified for a bowl game. Imagine they had lost to Navy instead. That wouldn’t count against them? So when the Pac-12 loses to BYU and Nevada, that should count against them. Still others might say that you look at the performance at the end. So between the last week of the season and the bowls, the SEC lost nine games to other conferences (even all of those were either the best independent team [Notre Dame] or in the top 4 of P5 conferences). Anyway, as I indicated at the beginning, I’ll grant that there are ways of looking at this that would not put the SEC first, but not the way I’ve ever approached this discussion. 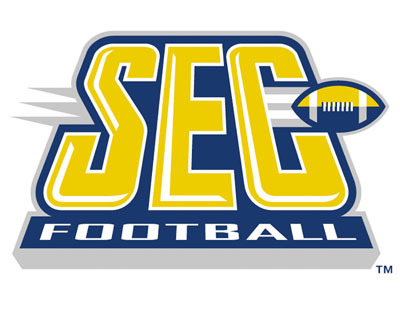 The demise of the SEC West was also greatly exaggerated. Even counting the bowl losses, the SEC West won 85.7% of its non-conference games. Granted, the Pac-12 South won 86.9%, but refer back to what I said about strength of schedule. Most of those quality SEC wins were by the West. Then take out the Oregon wins when you consider the Pac-12. It’s not even close. Also, it’s been overlooked that the SEC East went 5-0. They got a lot closer to the SEC West in the process. 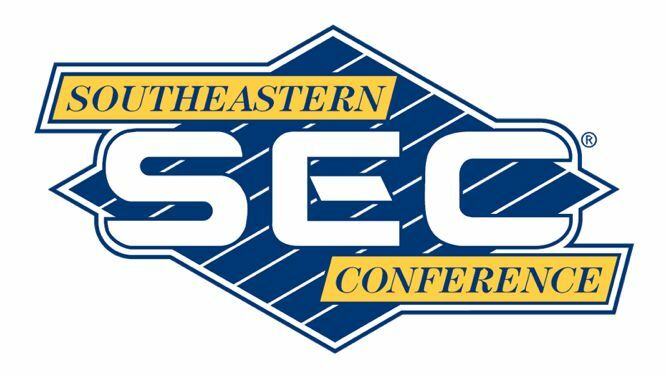 The SEC East won a total of 78.8% of their non-conference games. The Pac-12 North, on the other hand, won only 73.9% of their non-conference games. The numbers I just gave count FCS opponents, so that’s where some of the discrepancy is, but I excluded those games initially because strength of schedule matters. Including the FCS games, the Pac-12 was only 0.4 percentage points ahead, and there wouldn’t even be that difference had the Florida/Idaho game not been canceled. Even if you don’t place a high premium on it, if you don’t think strength of schedule can change the outcome of just one game out of dozens, then I guess this just isn’t for you. Also, I guess Marshall should have been in the top 2 going into Thanksgiving, and Florida St. was the best team going into the playoff games despite how those games turned out. I think the bowl results are pretty conclusive as to the rest of the Power 5 conferences and many of the others, so rather than trying to fill up another blog with that, I’ll just list the teams and mention any highlights briefly. Like the SEC/Pac-12 discussion, the B1G had a slightly worse record than the ACC against the P5, but the level of competition was higher. For instance, it played six games against the top half of the SEC compared to only four by the ACC. The ACC had a better record against the SEC than the B1G did, but mostly because they played Florida, South Carolina, and Kentucky. Also, the Big Ten had fewer losses overall, meaning they had fewer bad losses. It also helps that the B1G went 5-1 against the ACC, the only loss to Virginia Tech by Ohio St. If you’re not convinced, this is the list of their P5 wins to compare with the others: Pitt, Syracuse, Miami, Boston College, North Carolina, Baylor, Washington St., Oregon, Missouri, Alabama, Auburn. This is more a symptom of the weakness of the Big XII, who went only 6-11 against P5 conferences compared to the mark I mentioned by the ACC (nearly .500). P5 wins by the Big XII: Maryland, Iowa, Minnesota, Washington, Tennessee, Ole Miss. Two were against top teams of those conferences, but both were wins by TCU. Not a lot of depth. P5 wins by the ACC: Ohio St., Oklahoma St., Kansas, Oklahoma, USC, Florida, Georgia, South Carolina, Kentucky, Mississippi St.
Also, if you didn’t notice, the ACC went 3-0 against the Big XII. Even though 6-11 vs. the P5 isn’t great, it beats the 5-18 mark of the MWC by far enough that we don’t really have to look into the specifics much. The other four conferences went a combined 10-79. I did give the CUSA credit for having a better bowl season, but the bowl win by Louisiana Tech over Illinois was the only win of the season by the CUSA over a P5 opponent. Also, the Big XII only lost two games to a non-P5 opponent compared to the MWC’s nine losses against that group. Notre Dame, BYU, and Navy were all a bit above average (at least in records) while Army was a bit below. They went just under .500 against P5 opponents, and a few games over .500 against the FBS. Most of the big wins were by Notre Dame, but BYU beat Texas, Cal, and Houston. Navy didn’t do anything spectacular, but they did beat three teams with winning records: Texas St., Georgia Southern, and San Diego St. The only somewhat bad losses were by Army: Yale, Kent St., and Wake Forest. The MWC, as usual, was clearly the best of the rest. It was competitive with many P5 opponents and had the best record of the G5 conferences against them. Also, it suffered no embarrassing losses. It went undefeated against FCS opponents (unlike the Big XII, by the way). There were only three losses to non-bowl teams. Colorado and Oregon St. beat Hawaii, and Oregon St. beat San Diego St. Colorado was a bad team, but they didn’t beat one of the MWC’s seven bowl teams. As to the Oregon St. win over San Diego St., it’s not shameful in any way for a low-level G5 bowl team to lose to possibly one of the best P5 non-bowl teams. If there were a losing-record championship game, I probably would have liked to have seen Oregon St. vs. Kentucky. The CUSA has to have been happy with how well it fared given the defection of so many teams to the American (AAC), who I believe it just barely edged out. I mentioned the CUSA only had the one win over a P5 conference, and while that was certainly a negative, as were the two FCS losses. The CUSA had better games against everyone in between, however. 21-25 vs. the FBS is a lot better than the 10-31 mark of the AAC. The CUSA went 3-1 against the AAC (losing only to Memphis), it beat three of the MAC bowl teams (compared to only one such win by the AAC), and it beat three MWC teams (compared to only one). The wins over ULL and Navy roughly cancel out the two AAC wins over BYU. Like the AAC, the MAC only had 10 wins, but unlike the AAC, the MAC didn’t beat teams like North Carolina and Virginia Tech and did lose to two FCS teams. The MAC only beat three bowl teams: Pitt, South Alabama, and Arkansas St. The last two were wins in bowl games. The Sun Belt won only 5 FBS games, two over bowl teams. ULL beat Nevada, and Arkansas St. beat Utah St. It did get one P5 win, but Wake Forest (who lost to ULM) barely counts. The Pac-12 edged the SEC for #1. I cover the remaining conferences below. The B1G finishes with one more win than the ACC, which had qualified one more team, so even if you prefer looking at percentages, they would come out on top. Ohio St. was of course matched with another conference’s #1. Michigan St. still gets credit for beating Baylor even though the way they did it was kind of ridiculous. That was another evenly-matched game. I think TCU should have been regarded as the tougher team to beat out of the Big XII. Wisconsin barely held on in overtime in what should have been a win anyway over Auburn, the SEC #6. The next couple of teams, the ones who unsuccessfully competed for the Big Ten West, lost. Minnesota lost to Missouri, but if anything Missouri was a spot higher in the SEC. (I don’t think Missouri should have been considered the SEC #2 though since the best SEC team they beat during the regular season was Florida.) Nebraska played respectably despite getting rid of Pelini but fell short to USC, another fair match-up. Maryland was a little higher in the Big Ten than Stanford was in the Pac-12, but Stanford basically had a home game, so they should have been expected to win, which they did easily. That still gives the top six of the Big Ten a 3-3 record. That’s one game better than the top six of the SEC, but the other teams went 2-2 rather than the SEC’s 5-1 in other games. Had they gone 4-0 to give the Big Ten a total of record of 7-3, the Big Ten could have had an argument for #2. I mentioned in the previous blog that if the conferences were equal, Iowa (the #7) should have been better than Tennessee, but they weren’t. On the other hand, North Carolina probably should have beaten Rutgers and Boston College probably should have beaten Penn St., so these results help me determine SEC, Big Ten, ACC in that order. Northwestern might have been a better bowl team than Illinois judging by the good teams they beat (Notre Dame and Wisconsin), but like Maryland, Illinois didn’t get a geographically beneficial game, so I don’t treat them too harshly for losing to Louisiana Tech. Since it didn’t make the cut for #3, the ACC was the obvious #4. It got four wins, twice as many as the Big XII. They also qualified four more teams. I covered most of the games already. I didn’t mention Pitt losing to Houston in the most ridiculous conclusion this year. I don’t think it was bad enough to drop the ACC lower than #4. Conference USA went 4-1. The Big XII should have won both of the games they won anyway. #1 vs. #4, and #7 vs. #8. I mentioned Louisiana Tech beating Illinois, the only P5 opponent. Marshall beat Northern Illinois. Northern Illinois is not a P5 opponent, but I think they’re a serious enough program to be considered in the same category as a low-level P5 bowl team. The only loss was by UTEP to Utah St., which beat BYU and Air Force during the season, so they’re no joke either. The Western Kentucky and Rice wins weren’t impressive, but it was too hard for me to put a 2-win conference ahead of a 4-win one. Obviously the Big XII will still be much better overall. TCU did a good job, I have no problem with them being in the top 5. Whatever happens with my objective system, that’s how I would have voted them, but their conference just didn’t impress me enough to be #5 in the bowls. The MWC went 3-4, but also in that conference, there was a steep drop from #1 to everyone else, so that’s why I kept them behind the Big XII. I mentioned the Utah St. win. Air Force also beat Western Michigan. It would have been embarrassing to lose either of those games. Colorado St. and Nevada barely showed up (losing a combined 61-13), and San Diego St. basically lost a home game against Navy (although I do realized there are plenty of Navy people in the area). The independents went 2-1. They qualified three of the four teams in that category, the only loss was to a conference co-champion. There were wins over SEC #7 and MWC #6. The AAC went only 2-3 even with Houston’s miraculous win. The losses to N.C. State and Cincinnati showed pretty clearly that they don’t belong in consideration for a power conference. Even Memphis, the only of the three co-champions to win, needed two overtimes to beat BYU. BYU, who at one time was predicted to go undefeated, had continually gotten worse as the year went on. East Carolina was respectable in a loss, but that’s not much to go on. The MAC went 2-3, but Bowling Green (who beat South Alabama) beat one of the worst bowl teams in history, and Arkansas St. (who lost to Toledo) wasn’t much better. The MAC #1 got blown out, Western Michigan lost by a couple of touchdowns to Air Force, and Central Michigan lost to Western Kentucky. Last is the SBC. I mentioned it got two awful teams into bowl games. 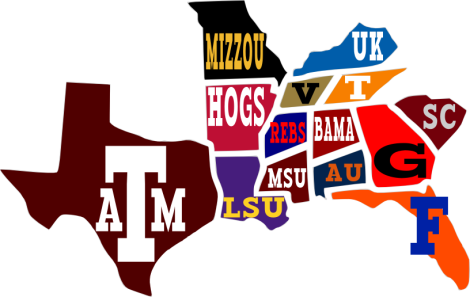 It’s a shame Georgia Southern and Appalachian St. couldn’t get those spots or maybe the SBC could have gotten a spot or two higher. The only other team the SBC got into a bowl is ULL, but they only had to travel a couple of hours (by car) in what has become an annual New Orleans Bowl tradition to play Nevada, who came from half a continent away and was #7 in their conference. I know it’s not right in the middle of the season, but we’ve had most of the inter-conference games that are scheduled, so I won’t do this again until before the bowls maybe. The three records are overall, FBS, and power conferences. Just as a reminder, intra-conference games are excluded. I’m glad I waited an extra week. The Big Ten turned things around. Not enough to surpass any of the other power 5 conferences, but at least they look like a power 5 conference (P5). The SEC now has three losses out of conference, but that’s still fewer than any other conference. The SEC has three more overall wins (and six more FBS wins) than the Pac-12, which has four losses. I also think the SEC’s quality wins are clearly best: Clemson, Wisconsin, West Virginia, Texas Tech, Kansas St., East Carolina, Central Florida, Boise St. The Pac-12’s P5 wins are Virginia, Northwestern, Michigan St., Michigan, Illinois, and Texas. There are no particularly impressive wins against lower teams. UTSA may be the best one, and they nearly beat Arizona. Fresno St. would have been a good win last year, but they don’t seem very good this year. The Pac-12 is clearly ahead of any other conference apart from the SEC though. It actually has the best record against P5 teams with one more win than the SEC has. The other three P5 conferences all have losing records in those games. Overall, the ACC, Big XII, and Big Ten are all between 70% and 75% success. The Pac-12 is at 87%, and the SEC is at 91%. The Big Ten is clearly the lowest P5 conference still because is clearly worst (31.25%) against P5 teams (which include Notre Dame), and it’s also last of the group in overall winning percentage and FBS winning percentage. The Big Ten also has the second-highest number of FCS opponents so far, after the ACC. It’s not easy to determine the better conference between the ACC and Big XII, but I give the nod to the ACC, who has wins over two P5 runners-up last season, Oklahoma St. and Ohio St., as well as over USC. The Big XII only has wins over Maryland, Iowa, Minnesota, and Tennessee. The Big XII has won a higher percentage (65-62%) over the FBS, but unlike the ACC, the Big XII has a loss to an FCS team. The three independents apart from Notre Dame have done well, but it’s hard to compare three teams to 12 or 14 teams. But they combine for a winning record despite not having played any FCS opponents, so I think they would be right after the P5 conferences. The first three second-tier conferences (I could call them group of 5, but that confuses people) that emerge are the AAC (some call it the American, it’s what is left of the football Big East), the CUSA, and the Mountain West. The Mountain West (MWC) is now basically the WAC, so it has a lot more weak teams than it used to. I decided the worst of those three conferences, despite some similar percentages against DI as a whole and FBS was the CUSA. The CUSA has two losses to FCS teams and no wins against P5 teams in 17 games. The AAC quality wins are East Carolina’s two wins over ACC teams and Temple’s win over Vanderbilt. I don’t think Vandy will be a bowl team this year, but they were last year, and while it wouldn’t be considered a good win for a P5, it is at this level. These are much better wins than the MWC over P5: Wake Forest, Colorado, and Washington St. The only arguably good win for the MWC against other second-tiers is ULL, who has made (and won) minor bowl games a few years in a row, but the win was by Boise St., who may win the conference this year. So that just leaves two more conferences to settle: the MAC and the Sun Belt. Apart from FCS teams, the MAC has better records in all the other categories. This is partly from having played 20 games already against the Big Ten, but as last week showed, that shouldn’t be completely dismissed. The only good win for the Sun Belt was ULM’s win over Wake, but Wake also lost to Utah St. So I don’t think that one win is enough to overcome the other deficiencies. The MAC is also 2-1 against the Sun Belt. I’ll start with the records. I tabulate these myself, so they could be a game or two off for each conference (especially the “group of five” conferences, due to membership changes). If there is a reliable database somewhere, let me know though. Notre Dame went 9-4 against the FBS and 6-4 against the BCS conferences, although Temple really shouldn’t count. *This includes Notre Dame since special provisions were made for them under the BCS. The American (AAC) was an automatic bid conference last season, so they still qualified. The AAC was the only conference outside of the “Big Five” (ACC, Big Ten, Big XII, Pac-12, SEC) that won more than 1/4 of its games against “Big Five” teams last year. Being that its membership continues to change and is now essentially what the CUSA was a few years ago, I did think it was fair to remove them starting this year. The new Playoff contract also treats them along with the CUSA, MAC, MWC, and Sun Belt (referred to as Group of Five). I think it’s fair to say the major teams have consolidated themselves into the Big Five conferences. There were 10 fewer teams in the Big Five overall just 11 years ago, so what used to be a competitive Big East has been absorbed by the other conferences (Temple is an exception, but they were removed from the Big East effective in the 2005 season before being invited back to join what became the AAC) . There were a couple of teams that competed in the Big East recently there were not absorbed (such as Connecticut, South Florida, and Cincinnati), but South Florida and Connecticut are still fairly new to the FBS (with transition years in 2002 and 2003, respectively). Cincinnati was in the CUSA as recently as 2004, but I’ll admit they would probably fit in playing in a Big Five conference. There have always been a few outliers since the BCS started though. Anyway, no surprise, but #1 goes to the SEC. It’s really no contest whatsoever based on those numbers alone. 16 more wins than the Pac-12 versus only two more losses. Even if you whittle it down to BCS-conference opponents, it’s 7 more wins versus two more losses. It gets a little better when the AAC teams are eliminated, but one of those SEC wins was over Central Florida. That’s better than the Pac-12’s best out-of-conference wins Notre Dame and Wisconsin (which South Carolina also beat). Oklahoma St. (beaten by Missouri in the Cotton Bowl) was also better than those two teams. 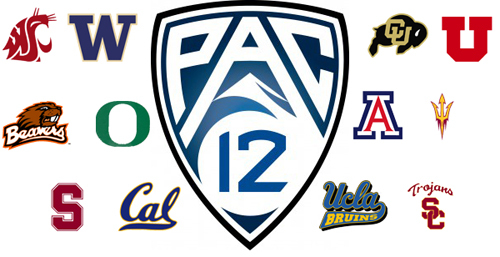 Being that the they were the only other conference worth discussing for #1, the Pac-12 takes #2. I’m actually going to award #3 to the ACC. They’re behind the Big XII in winning percentage against the Big Five, but look how many more games. There are more teams, but it’s approximately an average of one more opponent for every two teams. Ohio St., Georgia, and Auburn are a pretty good top of the list. Of course, LSU was the only team other than Florida St. to beat Auburn all year. Georgia’s only other out-of-conference loss was to Nebraska in the bowl game, and of course Ohio St.’s only other loss was in the Big Ten championship game. Also, the ACC’s losses are pretty solid. The only bad ones were Northwestern (which beat Syracuse), Ball St. (which beat Virginia) and ULM (which beat Wake Forest). Despite not having the best strength of schedule, I’m going with the Big XII as #4. Except for the FCS losses, every other loss was to a bowl team. North Dakota St. (one of the FCS losses; the other was Northern Iowa) probably could have been a bowl team had the Bison played in the FBS. I’m not going to pretend Maryland and Rice were very good but these are the rest of the FBS losses: Central Florida, Iowa, Oregon, LSU, Ole Miss, Missouri, and BYU. The wins were similar in strength to those of the Big Ten, who I’d put 5th. As mentioned, the AAC was #6, due largely to Louisville and Central Florida. #7 is a bit of a surprise. I’m going with the Sun Belt (SBC), which had a winning record in non-conference games. The only thing the Sun Belt got seriously wrong was letting in Georgia St., which lost to three FCS teams. There were a total of 12 combined losses to the SEC and Big XII, and all but a couple of those were to bowl teams. There weren’t any huge wins, but the SBC represented itself well against the other conferences: 4-2 against CUSA, 3-0 against the MAC, 1-0 against the MWC, and 5-1 against independents. Speaking of Independents, I would put the independents apart from Notre Dame after the Sun Belt, but since they’re not really a conference we can call them #7.5. The main reason they’re not even higher is because Idaho, New Mexico St., and Old Dominion were included last season. CUSA is #8. North Carolina (lost to East Carolina) and Maryland (lost to Marshall) were decent wins, but there wasn’t much else to write home about. There were a very high number of losses, include two to South Alabama, which had just fully joined the FBS. There were three other losses to Sun Belt teams, three losses to MWC teams, and four to MAC teams. #9 is the MWC. Most of Big-Five-conference opponents were in the Pac-12, but there was only the one win over Washington St. The only other FBS win was over Rutgers. There was one other win of substance by Utah St. over Northern Illinois in the bowl game, but I think that was mostly the Huskies being let down by the loss to Bowling Green for the MAC title. There were also some bad losses to Utah, Colorado, UTSA, and Texas St. The #10 MAC only won 11 games over the FBS. It won 10 games over the FCS but lost two. Northern Illiniois beat a decent Iowa team, but the other three wins over BCS conferences were Connecticut, Virginia, and Purdue. Ohio had three wins over the CUSA, and Bowling Green had one. Also, Toledo beat Navy. Not really an impressive group of wins there.